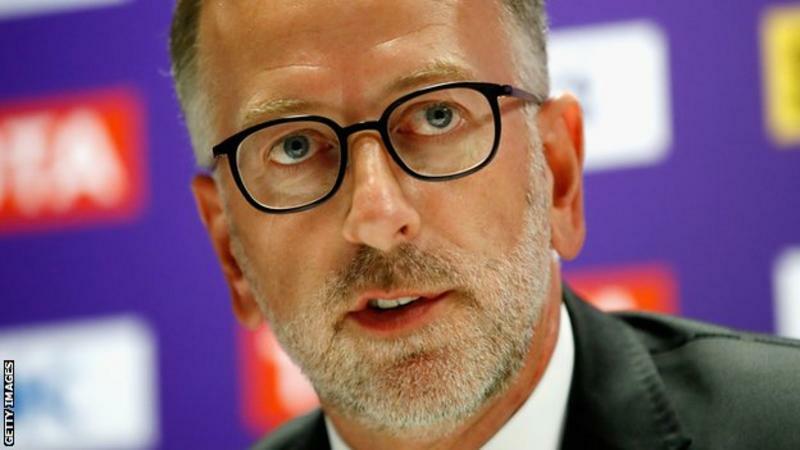 Warner also organised the bid for London to stage the 2017 World Athletics Championships and their subsequent stagingCheating is inevitable in sport and the only way to combat it is to "look through the eyes of the cheat", says former UK Athletics chairman Ed Warner. "Cheating is as common as death and taxes. And it is understandable," he told BBC Radio 4's Don't Tell Me The Score podcast. "You have to help athletes look inward and give them the opportunity to adjust their moral compass." Warner led UK Athletics during Dwain Chambers' comeback from a doping ban.Chambers, a European champion over 100m, had been banned for two years in 2004 for using anabolic steroids.However he returned to the sport to win world indoor medals. "I don't want him on the team, but when he is on the team you have to treat him like everyone else and that is a very difficult thing to swallow," remembers Warner. How common is cheating[/IMG]"If this was the old days and it was just for the glory of the gold medal then sure, you might be tempted to cheat. "Now? When it could be the difference between wealth, happiness and a comfortable life and the breadline, that temptation is many dimensions more. "That dividing line is a gulf and it is a massive temptation." Warner is a Crystal Palace fan and is chairman of the club's official charity, the Palace For Life Foundation.He says his experiences in the stands at Selhurst Park contrast with how it is viewed by fans in his other love - athletics. "We know what cheating is, but how much we care about it depends on where you are looking at it from," he added. Republic of Ireland players protest after Henry's handball sets up William Gallas for France's decisive goal in a World Cup qualification play-off"There is something different about football. "We all jeer at opposing players we think are divers, but when your own player goes down in the box, of course he is not a cheat. "When Thierry Henry handled the ball to secure a place at the Republic of Ireland's expense at the 2010 World Cup I didn't see Henry being reviled in France for that. "There is a tribal mentality around football. A kind of win-at-all costs. It is ingrained into us." "Looking at it through the eyes of the cheat is the only way to get to the heart of the problem. A lot of sports people are relatively young, relatively vulnerable and have lived a sheltered sporting-only existence. "For someone in a sport governing body what you have to work on is education. If we don't do that, we are always going to be behind the fight. "Although the odds of not getting caught are probably better than they think they are, the consequences of getting caught are also much greater. "Getting caught cheating is truly transformative to your life and not in a good way."